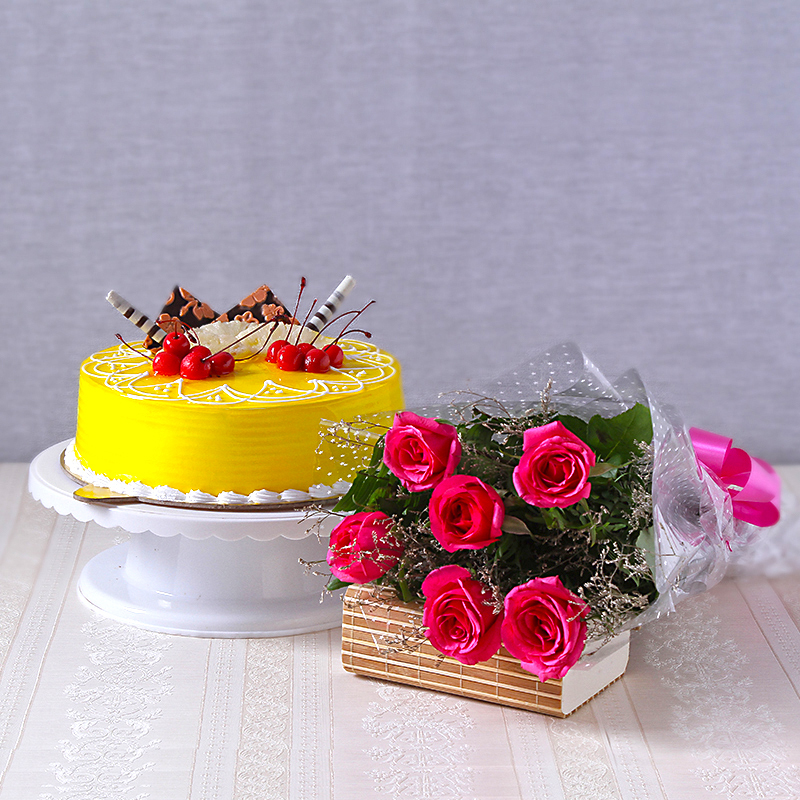 Product Consists: Bouquet of 6 Pink Color Roses along with Half kg Pineapple Cake. Your love is special and so your loved ones too. Do something which they will never forget their whole life. Just make your love feel happiest than ever. The beautifully arranged Bouquet of 6 Pink Color Roses definitely express your feelings to your loved one and feel them more special. 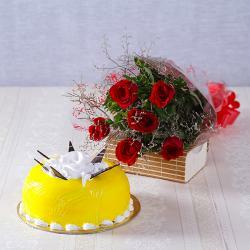 And give delicious treat with Half kg Pineapple Cake. It is tasty, soft and melts in your mouth. It is perfect gift for occasions like Birthday, Anniversary, Weddings, Valentines Day, Mothers Day, To Congratulate and many more. We provide doorstep delivery and free shipping and ensure that your gifts reach in time. Also send this hamper for your loved ones along with other bewildering Gifts to India through Giftacrossindia and make your dear ones feel special. 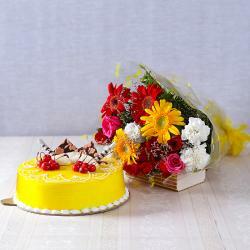 This gift hamper contains : Bouquet of 6 Pink Color Roses along with Half kg Pineapple Cake.